One of the most revered psychedelic bands from the 1960s and 1970s the great Quicksilver Messenger Service bossed the Bay Area as a live act in the hazy daze of acid rock. Alongside their friends and rivals the Grateful Dead, Quicksilver epitomised the free form sound of a heady era with the twin guitar attack of Gary Duncan and John Cippolina mixing up vibrato, reverb, finger picking and some of the most influential experimental passages in Californian rock – both men being West Coasters through and through. Co-founding member Dino Valenti (from Connecticut) brought in his own unique folk bag style, learnt in the coffee houses of Berkeley and New York City, and he introduced a blend of gothic traditional and beatnik poetry that made the group unique. With the added bonus of a dynamic rhythm section – David Freiberg’s sonorous bass welded to Greg Elmore’s metronomic punchy tom tombackbeat, this bunch of sharp looking hombres became regulars in Bill Graham’s Fillmore Scene as well as the Carousel and Avalon and slayed crowds at every major club and ballroom and outdoor festival they graced. 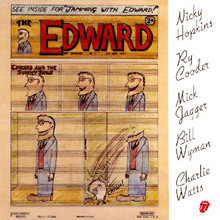 They also left behind a quite splendid body of recorded work and also used the studio to mix live and pieces into their sound – especially on the classic Happy Trails – which gave them a wraparound sonic groove that has never dated. Their career spans 1965 to this very day since Freiberg and Duncan still go out to thrill crowds as QMS. Always an outfit for the West Coast aficionado they have never really received the appropriate accolades, bells, gongs and whistles of others but that doesn’t matter because their music reigns supreme. 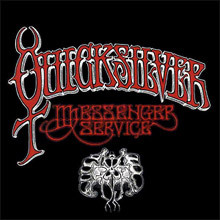 The original Quicksilver Messenger Service was a project dreamt up by Dino Valenti (aka Chester Powers among many alter egos). He wanted them to perform with then revolutionary wireless guitars and all manner of gizmos and female backing singers. Unfortunately Dino was busted in 1965 and the other members kicked their heels and rehearsed awaiting his release from Uncle Sam’s clutches. The original band included guitarist Jim Murray who can be heard on various unofficial and posthumously released live discs but our story should start with the self-titled debut (1968) which follows hard on the heels of their contributions to the movie soundtrack for Revolution. 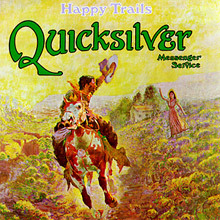 Boasting the classic quartet line-up Quicksilver Messenger Service consists of some gorgeously elegiac acoustic and electric pieces like the opener ‘Pride of Man’ (penned by London born Buddhist folkie Hamilton Camp) and ‘Light Your Windows’ as well as brilliantly conceived jam work outs, ‘Gold and Silver’ and ‘The Fool’ where the Duncan/Cippolina axis swap and trade lead lines with a jazzy fluidity. Firmly entrenched in the San Francisco counter culture – they rarely strayed over the State line in fact – Quicksilver won a reputation as hard living rascals with a penchant for firing off rifles at their nearby neighbours the Dead’s ranch squat. This rough image readily translates to the amazing Happy Trails (1969) and its deliciously kitsch cowboy artwork for Globe Propaganda by George Hunter (a member of The Charlatans he) which references Dale Evans out on the range tune penned for Roy Rogers TV show. Side one of Trails consists of Bo Diddley’s ‘Who Do You Love?’ taken down so many avenues that it threatens to explode. Divided in to ‘Who’, ‘When’ Where’ ‘How’ and ‘Which Do You Love’ with a mind-boggling return to the main theme, the band involve walking bass lines, Fillmore West audience participation and avant garde passages that are expertly cut up and edited to Dada effect – not to mention lung busting guitar lines like nothing else on earth. Side 2 is more measured but equally inventive. Diddley’s ‘Mona’ kicks things off now and white boy blues doesn’t come any sharper. Duncan’s ‘Maiden of the Cancer Moon’ and ‘Calvary’ are atmospherically charged and comparable to EnnioMorricone. All manner of percussive devices are employed and the vocals are damn fine to boot. Long considered a must have classic of the era we see or hear nothing wrong with that judgement. Fact, we love this album so much we’ve just stuck it on again! Shady Grove finds Britain’s very own keyboards legend Nicky Hopkins involved in proceedings while Just For Love heralds the overdue return of Mr Valenti. There is also the fine reunion period of Solid Silver to consider. We can offer a brace of terrific compilations. The introductory Classic Masters is a 24-bit remastered 12-track set that will have you hankering for the period of the Human Be-In and the lysergic fresh air of those sizzling sixties. 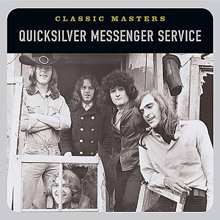 Masters of Rock: Quicksilver Messenger Service (2003) is another fine way to discover these fleet-footed acid rock pioneers with well known gems fixed next to epics like ‘California State Correctional Facility Blues’ and the hipster head anthem ‘Joseph’s Coat’. 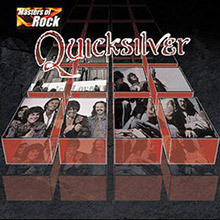 As the 1970s signalled changes in personnel and a new mood in the air Quicksilver took stock and branched out with both Duncan and Cippolina embracing solo projects like the magnificent Copperhead and Freiberg throwing in his lot with his old pals in Jefferson Airplane and then Jefferson Starship, although they all continued to play impromptu shows with their kindred soul brothers in the Dead. Often described as hippies with rifles this lot knew about image but their music flowed organically. They still sound like Messengers from the gods. Happy Trails all ye who enter here.